We love giveaways, and we're certain that you love them even more. Last week we had the SOUL by Ludacris SL150 and a Werx screen replacement for an Android smartphone to give away, and today we're happy to announce that we have a confirmed winner! Congratulations go to smak425! We just wanted to repeat the whole thing about that screen replacement service again, just to make sure that it's all clear. With the Werx screen replacement kit, you'll receive a pre-paid FedEx box, where you'll have to put your phone in the unfortunate and sad event of screen damage. Then you simply ship the box to Werx, and you should be getting your handset back with a brand new screen in no more than 72 hours. Thankfully, this service isn't distributed through giveaways like ours only, so everyone who would like to take advantage of it can purchase it at a RadioShack store for $99 for iPhone 4S/4 and Android smartphones, and $199 for iPad. Meanwhile, if you like the idea of rocking a new Beats by Dr. Dre Solo headphones and a Werx screen replacement kit for iPhone 4S/4, be sure to participate in our new giveaway! Once again, congrats to smak425, and good luck to everyone else! Award goes to who broke the screen and didnt repiar it;) LOL!!! my sony earbuds w/mic were 20 at radioshack and i bet they work just as well as these over priced headphones. but they do. they only cost that much because some "artist" slapped their name on it. Yeah no. They may "work as well" but they wont sound as good. Yes they are over priced and yes you could probably get very similar or better sounding headphones for about 50 bucks. id really test it out but i cant justify spending 100+ on headphones. If you're a casual listener, then of course you won't see the point in paying over $100 for headphones. However, as someone who listens to and reads about music daily, I have no problem paying top dollar for a pair of headphones. I own about 7 pairs of headphones mainly because they each serve different functions. For example, some emphasize bass, one pair has noise cancellation, and the rest are simple headphones. 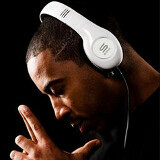 Beats by Dre are awesome and I'm curious to test out SOUL by Ludacris. Sure putting a name on it adds to the price, but as an owner of the Beat by Dre Studio edition headphones (got it for a steal at $225), I'm telling you from experience, they are far superior to any set of headphones I have ever owned, including my Bose On-Ear headphones. I've gone through the crappy Sony headphones that cost up to $75 along with Sennheiser and a couple other brands, and they just come nowhere close. Now if you don't really care about the quality of your music, then I agree, the Sony headphones will do just as good, but if you want to start getting serious about listening to your music then you need to spend the extra money. Now don't get me wrong Beats or these Soul headphones are not top of the line, or even close. If you want the real audiophile headphones you're going to be paying some serious money. I'd say the Beats headphones are mid-range quality.